The Alloy Wheel must first be prepared for Hydro Dipping. A complete clean down is done to ensure it is oil and grease free. The wheel is then sanded before given a spray painted primer and colour base coat. We completely strip any old paint or coating from the Alloy using our chemical tank. After this the wheel is ready to be Powder Coated. 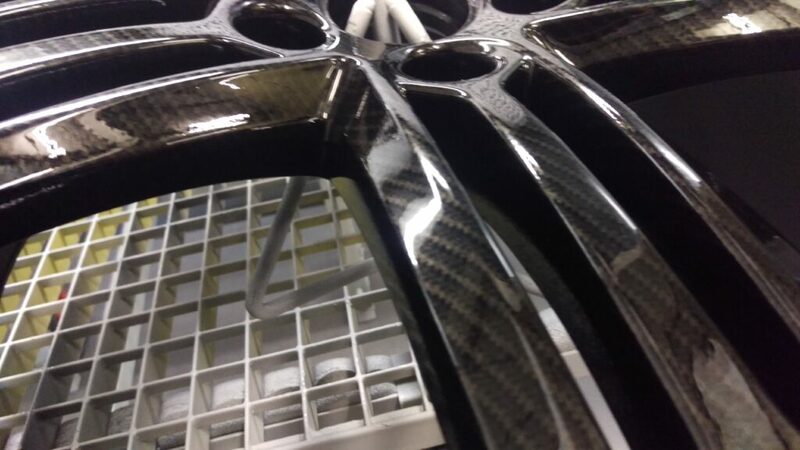 We then prepare the PVA film containing your chosen pattern and cut this to fit the Alloy Wheel. We place the film on to the surface of heated water tank and then dissolve the film using a activator spray to create a liquid ink image pattern in the water. The wheel is now ready to be Hydro Dipped. 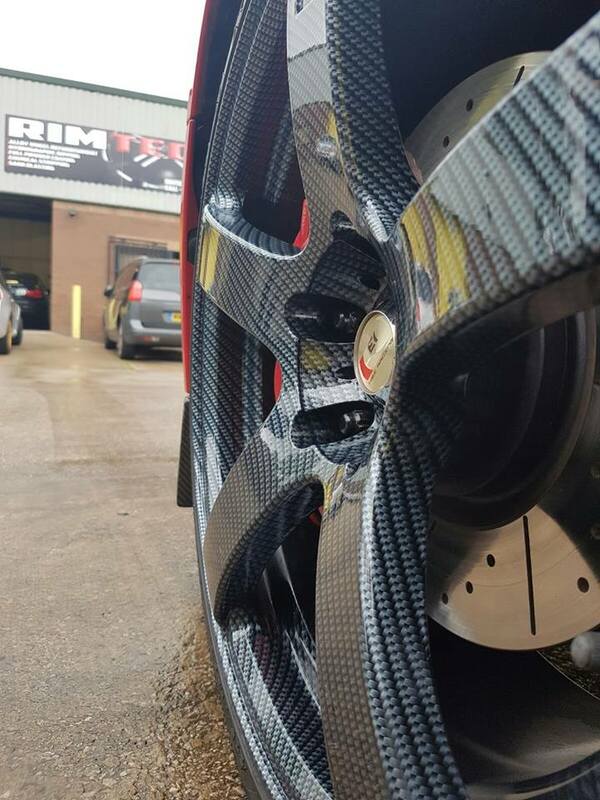 The Alloy Wheel is then rinsed and dried before a high quality automotive lacquer is applied to form a tough and durable finish to protect it. Alloy Wheel Refurbishment Stockport What else can we Hydro Dip?